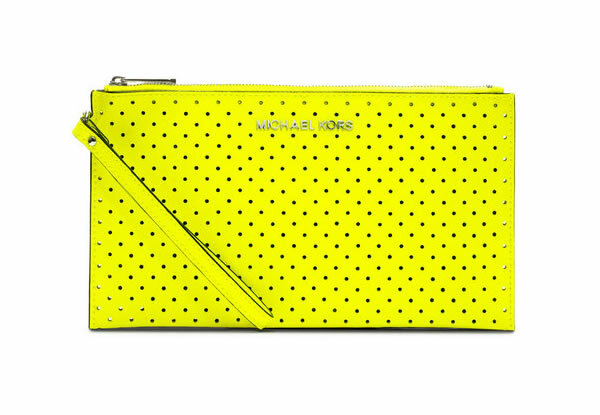 Add some neon pop to your outfit this spring with this fun perforated clutch by MICHAEL Michael Kors. Pair it with a flirty dress or take it for a night out in jeans and heels. Wow this is a great give away. LOVE that clutch! Lovely giveaway!! A clutch perfect for the upcoming summer! Happy weekend! Keep in touch! Where's your favorite nail spa? Still loving this clutch! It's so perfect for spring. Great give away!! Love the color!! What a fantastic bag! Too bad I'm late for givaway! my Google account. I look forward to new updates and will talk about this blog with my Facebook group. but now as I am a user of internet thus from now I am using net for content, thanks to web. comparable topic, your site came up, it looks great. people can be benefited out of your writing. Cheers!